Living in Mumbai is like living a dream. There is so much to this city other than what meets the eye. Mumbai’s real estate market is booming with a number of residential and commercial projects today. 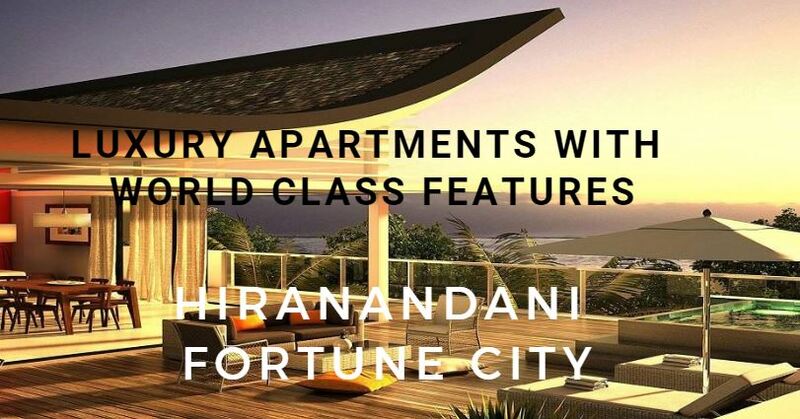 Hiranandani Fortune City is a magnificent township project in Mumbai by Hiranandani Group that is well-planned to offer a modern-day living like never before! Spread over extensive acres of land, this township development consists of elite high-rise towers of 36 floors that are designed to please and offer studio, 1BHK, 1.5BHK, 2BHK as well as 3BHK apartments that are high on luxury. With large area sizes, luxury space is what you will find in every residential unit. To top it off, you will also find 2 commercial towers at this township. Situated at Panvel, Mumbai, this township development offers a life of convenience as it has a number of landmarks in its vicinity. Without a doubt, residing at this development will help you save plenty of travel-time for other things in life that really matter! Places like school, colleges, medical centres, hospitals, pharmacies, retail outlets, general stores, shopping centres, malls, cinemas, lounges, clubs, pubs, cafes, restaurants, entertainment zones, banks, ATMs and a lot more can be found and accessed with ease. 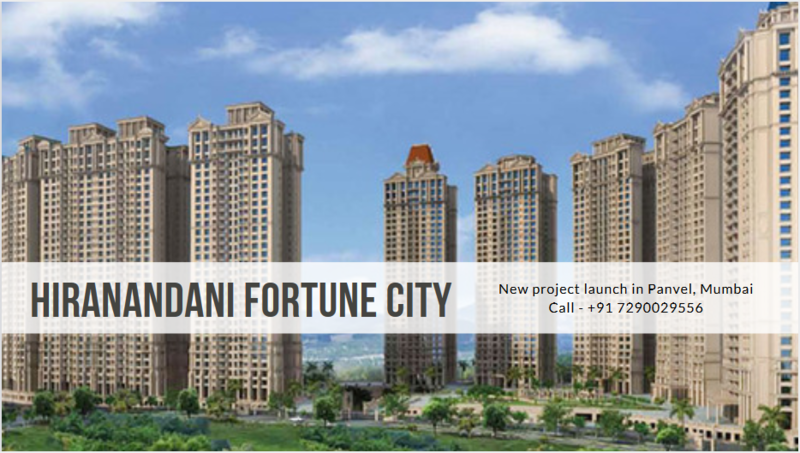 If you are looking forward to live a modern-day lifestyle, Hiranandani Fortune City Panvel is the ultimate place to be! This township development is designed to offer maximum luxury and comfort in every corner. You will find beautiful apartments that provide good natural lighting, ventilation, and contain sleek fittings & fixtures, high-quality flooring in every room, large doors, wide balconies and beautiful sliding windows, elegant kitchens with premium platforms and multiple provisions, hi-tech safety features and more. This development also boasts a number of external amenities that are truly world class! Experience a new life of luxury and leisure like never before! The external amenities include a clubhouse, well-equipped gym, meditation centre, multiple sports facilities and a play-zone for kids, outdoor seating areas to spend time with family and friends, outstanding retail store, firefighting equipment, power back-up, wide open greens, landscape garden and top-notch security with video surveillance in common areas. Starting at a price of Rs.43 lakhs and moving up to Rs.2.10 Cr., the apartments at this township development are affordable and completely worth the fabulous features that they have to offer. You can choose from different payment plans along with NRI services, home loans at decent interest rates, customer support and more for a hassle-free purchase. Book your apartment today and avail exclusive offers and discounts that will surely make you glad!